Graduation Season has arrived. Although where you are it may have already come and gone. But here in Southern California, we start late and end late. We still have three more weeks of school, but it’s not too early to start working on some ideas. This June our daughter graduates from 8th grade/Middle School. Next year, she’ll be in High School. It’s kinda funny, but her Middle School is the only school in our area that does not have a formal graduation/promotion ceremony. The parents get to attend awards night and the kids have a big party the last day of school. Even though they won’t be having a ceremony, we will still celebrate her accomplishments and we’ll have a graduation dinner for her. Here is my first attempt at a graduation card this year. I’m sure I’ll make a few more trying to come up with just the right card for her. 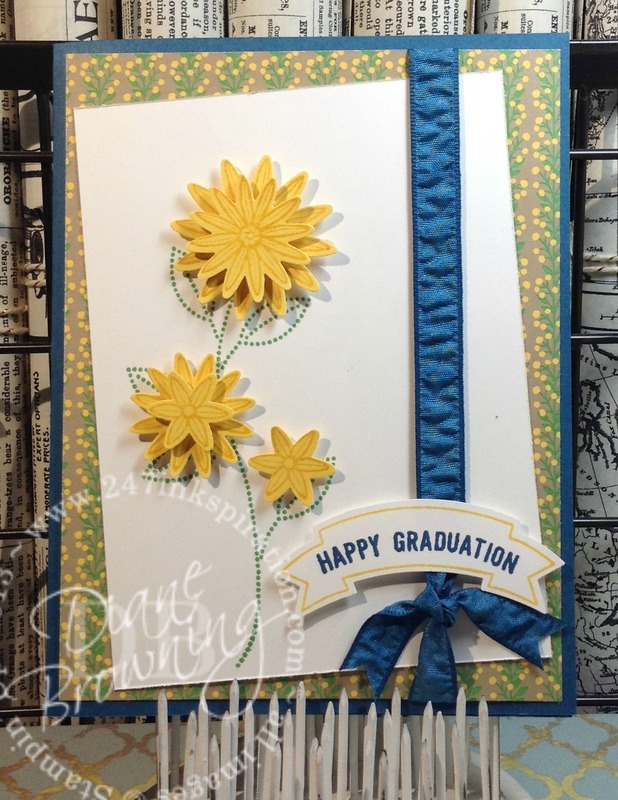 The pattern paper, the Denim card stock and ribbon and the Happy Graduation sentiment are coming soon in the new Catalog beginning June 1st. If you’d like a Catalog, please contact me. The Catalog is $5, which I will refund to you with your first $50 order pre-tax and shipping. One of the perks of being a Demonstrator is being able to order products like these long before they are available to the public. Our Starter Kit is such an awesome value. You pick out $125 worth of products and the cost to you is $99, including shipping. I love that you can pick out exactly what you want for your kit. If you’re not sure what to get, we do have a suggested product list. We’re you ready to sign up to be a Demonstrator right now? Well, don’t. Whaaaat? Why on earth would I tell you not to sign up this weekend?!? 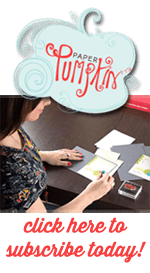 Don’t I want more Stampin friends? Of course I do! Just don’t sign up right now or you will be kicking yourself. I just received advance notice that new Demonstrators that sign up June 1st – 30th get TWO extra stamp sets in their Starter Kit for FREE. (I don’t know about you, but I love when I hear the word FREE.) So, YES! I do want you to sign up, but hold out for just a couple days so you can get an additional two stamp sets for FREE. You pick two extra stamp sets at any value and there are a couple expensive stamp sets in the new catalog. I know one of the new Alphabet sets is $50. Such a great deal. You’re already getting $125 worth of products for $99 and add in two more $50 sets and that’s $225 worth of products for $99. Not sure you really want to be a Demonstrator? That’s ok too. My downline is comprised of both business builders and those that just want a discount on their craft supplies. Everyone is treated equally in our group. You can try it out for a few months and see if you like it. If it’s not what you thought it would be, there’s no obligation to to continue. You keep everything in your Starter Kit and anything else you’ve ordered along the way. I am happy to answer any questions you have. Or you can come to one of our Downline meetings if you’re in Southern California.